Updated on 11/23/2010: Civilization 5 for Mac has been released by Aspyr. You can order Sid Meier’s Civilization 5 for Mac on Amazon and it will ship for free. You can also watch a Mac version video trailer, and we’ve been given a Civ 5 for Mac release date of November 23! The wildly popular Civilization 5 is coming to the Mac sooner than later, according to a report on MacRumors.com. We’ve received reliable word that Civilization V for the Mac is due very soon — likely in the coming weeks. The coming weeks would be very wise, shipping Civilization 5 by the holiday season would surely boost Mac sales considerably. I’m happy to see that Mac gaming is finally getting some serious attention, as MacRumors notes. In case you didn’t notice I’m a sucker for strategy games (Starcraft 2 anyone? ), so bringing Civ 5 to the Mac is really exciting news to me. 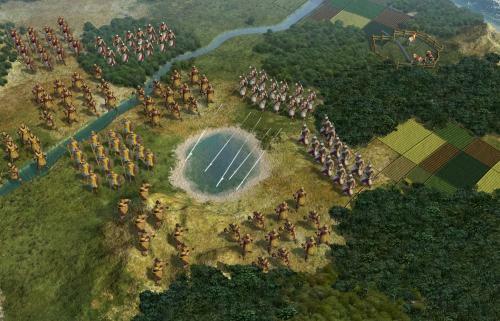 Earlier this year, Civilization for iPhone was made available for free. If you’re a Civ addict it’s a worthwhile purchase too especially considering now it only costs $1. If you have never bought a Civ game, get Civ 4 instead of 5. The graphics are a little better in 5, but everything else so far has been a step backwards. Well, if I was considering Civilization V, I would definitile take massive action to ensure that the game is actually working before buying it. As many other people, I must admit that I am now utterly disgusted with Firaxis / 2K Games because of this product launch and the problems associated with it. Basically, there are sooooo many flaws and crashes with Civ 5 on the Windows platform without a real response or efficient technical support from developer or publisher that one would be seriously happy to throw money out of the window. 1. A product that does not work with a shatload of clients on which it is installed (in spite of these meeting spec reqs). 2. No support from developer, publisher or retailers like Steam whatsoever. Think I’m full of it? Google ‘Civilization 5’ in combination with ‘crash’ or ‘troubleshooting’ and read the never-ending walls of text from disgruntled customers. But will buy it only if product will native without third-party terrible download system. If civilisation 5 will sale with steam or will need for steam activation – I will not pay for it that dont want to lost money. Just paid 50$ for civ 5 mac version and it won’t even launch. pos. Just bought mine. $50 later, nothing. Won’t launch and NO customer support. What a joke. If you want to play this game, too bad — Aspyr hates you and will take your money and laugh. Just bought it. Won’t load. Guess I blew $50. WTF??? Meet all their requierements but the stupid game wont even launch!? I want Aspyr to pay me $124 for the two hours I spent trying to launch, so far. Need Snow Leopard OS … more money. same thing, just bought civ5 for mac, excited to get started and it won’t even launch, guess its back to civ 4 and all that anticipation for nothing. nice, I feel like a sucker. I just got Civ5 (for Mac) for christmas and I am having to download stream. It has been downloading for about an hour now and it is only at 10% now. Maybe I can play it tomorrow…. sucky! Don’t get your hopes up… It will continue loading forever, happened to me. Then it will give you the “Cannot connect” error message and won’t launch. Steam did download after a half hour on DSL. The game intro movie played OK. But the menus to start came up with just the boxes visible with no text visible. I’m afraid that I just wasted $50 also. I should have investigated first before rushing to buy. I have a Mac laptop with the integrated video and I suspect that the game is not compatible with it. It’s also the first that I’ve heard or seen of Steam and I don’t like the idea at all. I had the same problem. The menu is outlined but all the choices are blacked out. You can navigate your way to a game but the game screen is blacked out too with the exception of the menus. Mine took almost 5 hours to download and wouldn’t launch. I got it fixed and now, it is still broken. I hope I can return it. I have all the requirements for a Mac. I’ve got Steam downloaded and Civ5 downloaded. I see the intro, I enter the gameplay and WAMMY! Everything works but the terrain. I have all the side bars, but nothing shows up on the terrain or soldiers. Just a couple of circles that drag a shadow across the screen. I’m pulling my hair out… someone help. Any ideas? I have snow leopard (10.6.6) and 2 x 3 Ghz Quad-Core intel Xeon with 9 GB memory, ATI RadeonX1900 512mb graphics card. Beginning movie runs maybe for a minute and it ends quite quickly, and then comes the menu without any text (yellow box with gray on the sides). Any info how to fix this?